Currently we have no puppies available. 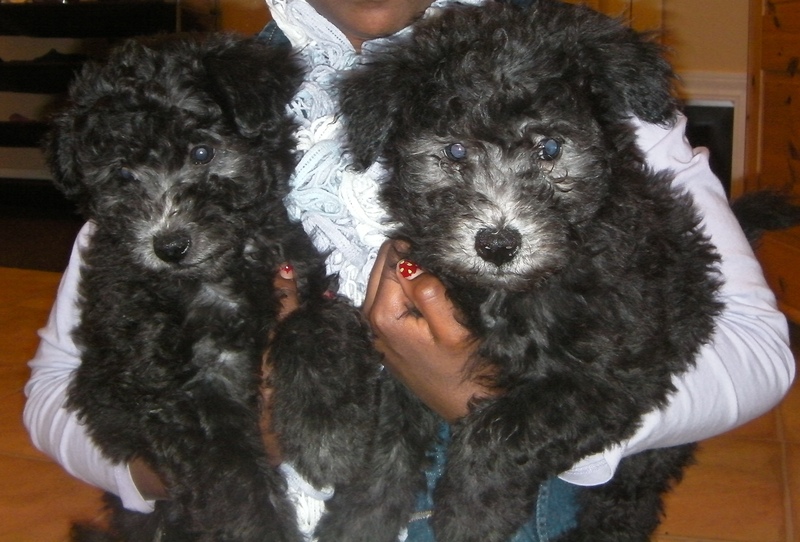 If you are interested in a Pumi puppy please go to our Puppy Questionnaire and tell us a bit more about yourself. We will then notify you of upcoming breeding plans. The MayaLu Pumi A Litter born on 11/11/12. Puppies were born black and will turn silver gray, the color of both parents. The dam is MACH Abiqua Cicelle from Abiqua Kennels C litter. Bella represented the US in both the Americas and Caribbean and European Open Agility competitions 2012 as well as being short-listed for the Agility World Team. The sire is Szimfonia Arany Zene Keszito (Maestro) and is close to his Certificate of Merit in the breed ring. On Maestro’s side there are agility champions bred from 2 of his grandparents. Bella and Maestro both have OFA Good hips. Bella is 15″ tall and Maestro is between 16″ and 17″ tall.